Y’all are going to want to book a trip to Orlando STAT! 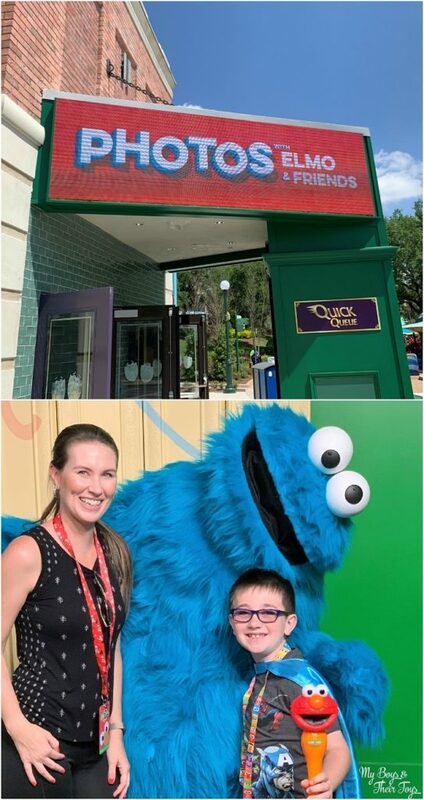 123 Sesame Street at SeaWorld Orlando is now open and it’s absolutely adorable! 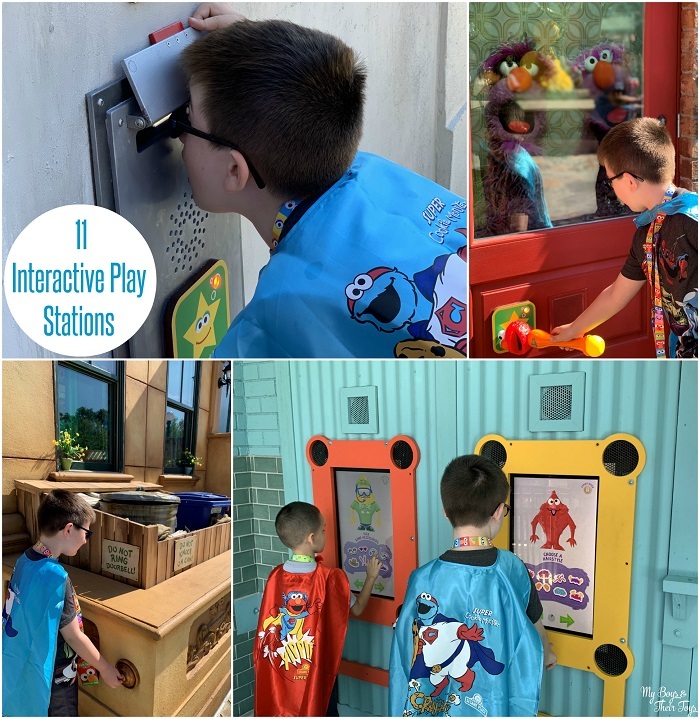 Relive your childhood, or help your kids discover theirs with Sesame Street’s favorite furry friends, 11 interactive play zones, food trucks, rides and so much more! 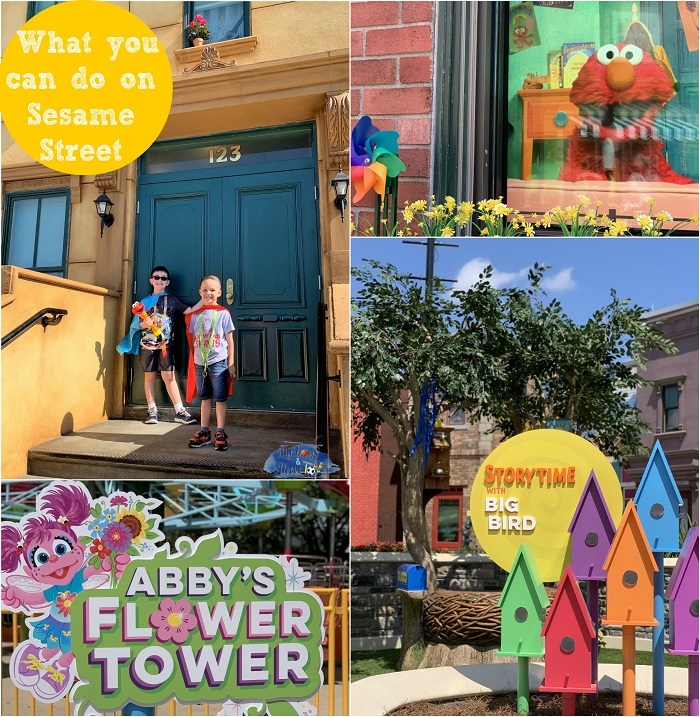 We’re recapping our amazing time at Sesame Street Neighborhood at SeaWorld Orlando including a video tour. 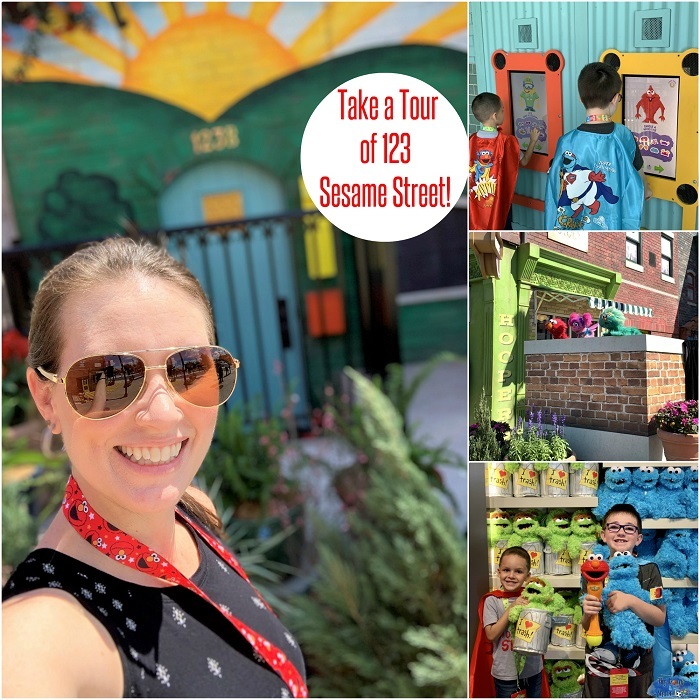 As you enter the interactive and immersive Sesame Street Neighborhood (previously SeaWorld’s kid zone), you’ll feel like you’ve stepped right into the iconic television show! The six-acre world-class attraction is the largest Sesame Street land inside of any of the SeaWorld parks! Sesame Street’s Elmo, Abby Cadabby, and Rosita kicked off the grand opening yesterday during the special media event. 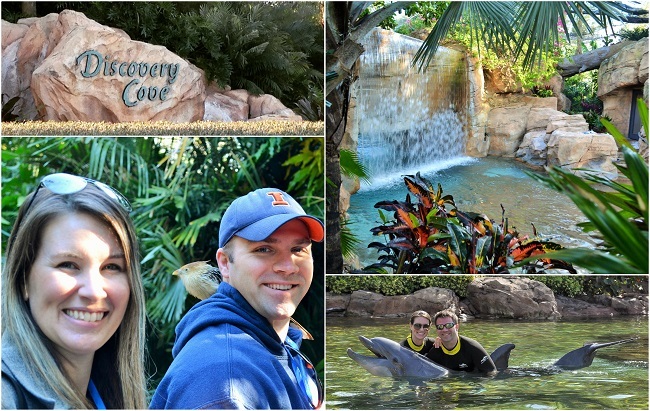 We invited two friends along to explore Sesame Street at SeaWorld Orlando because it’s always fun with friends, right?! 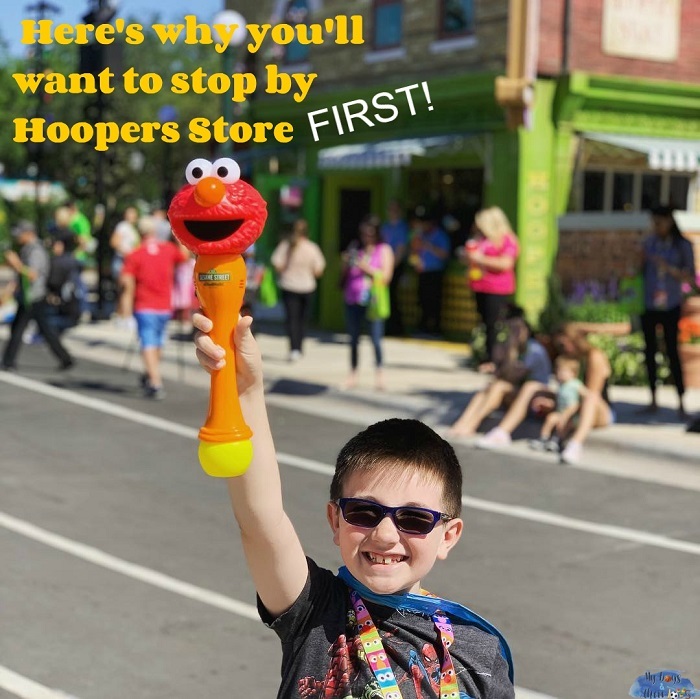 Both boys received Elmo’s Interactive Light-Up Bubble Wand which unlocks hidden surprises, special effects and exclusive content throughout the street. I highly encourage stopping by Hooper’s Store to pick one up before moving through the rest of the land. Although it looks like it’s just a bubble wand (which is loads of fun on its own) it also doubles as a secret magic wand that interacts with 11 different locations throughout Sesame Street. It really does make for a very special experience! 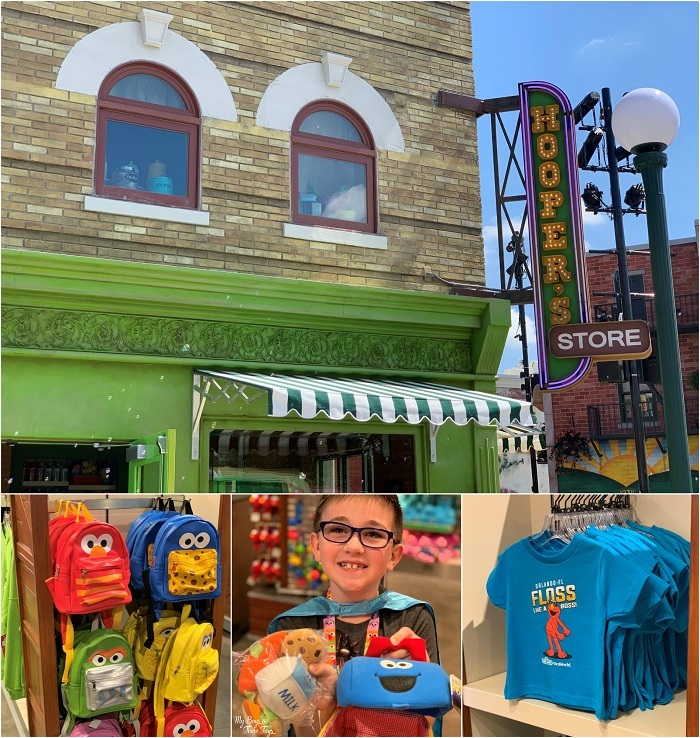 Additionally, the store has an abundance of exclusive Sesame Street items for sale. We found many adorable gems in the store. Stop in front of the color-filled plush wall to take a selfie too! 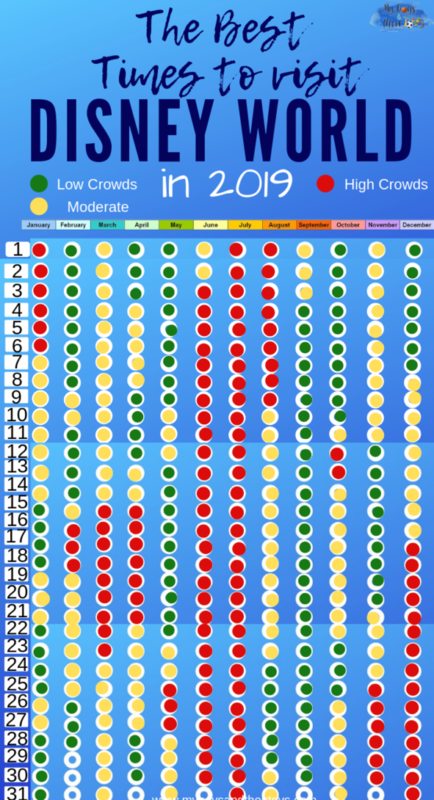 Remember that Elmo Bubble Wand I mentioned earlier? Here’s how you can use it! There are 11 interactive play zones throughout the land that will excite and thrill your little ones. Simply tap the Elmo wand on any yellow star and watch the magic unfold! If you don’t have a wand, that’s okay – you can still interact in a different way. Bike Shop Tricycle Challenge – Use your body to control a virtual tricycle as you collect numbers before time runs out. Two-Headed Monster Pipe Telephone – The Two-Headed Monster eagerly awaits to hear from you. Speak into one end of the pipe telephone, then hear your voice transform into a friendly monster voice. Create-A-Monster – Create your own digital monster then look up at the colorful windows and your monster will magically appear. Cookie Monster’s Foodie Truck Challenge – Whip up some delicious meals with Cookie Monster and Gonger! Sesame Street Apartment Intercom – Press the apartment number buttons in the correct order to hear a response from your fav pals! Backstage Queue Warm-Up – Keep busy in the character meet and greets queue line with six non-digital activities inspired by theatrical performer warm-ups. This award-winning parade is not to be missed! 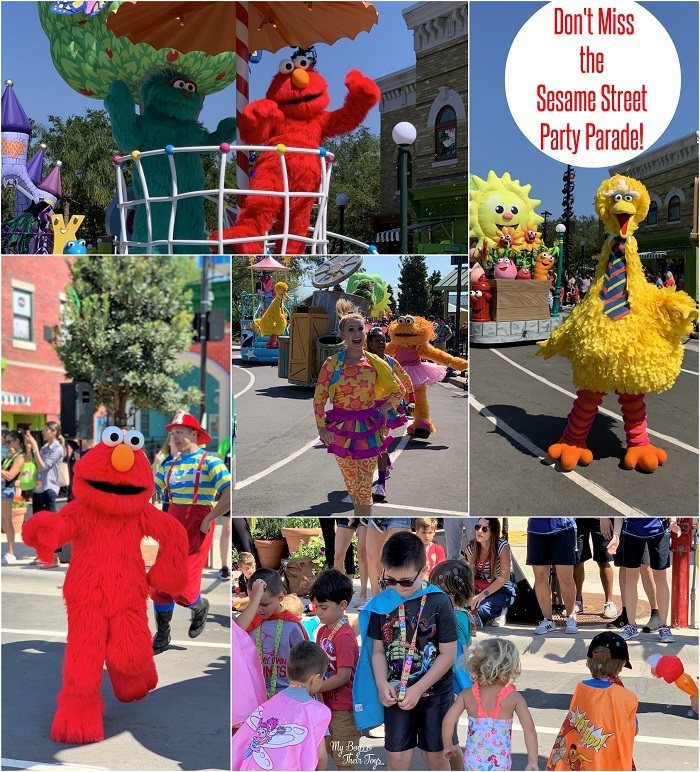 Appearing at 2 pm and 4:30 pm the Sesame Street Party Parade is like non-other! 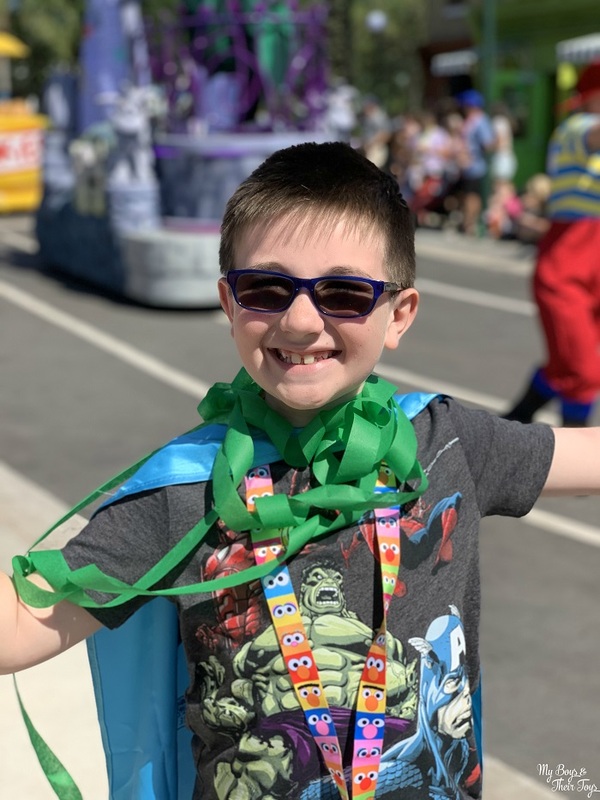 Visitors of all ages will be up and dancing as Elmo, Big Bird and friends accompany colorful floats – and invite the littlest family members to join them in special activities during the parade! 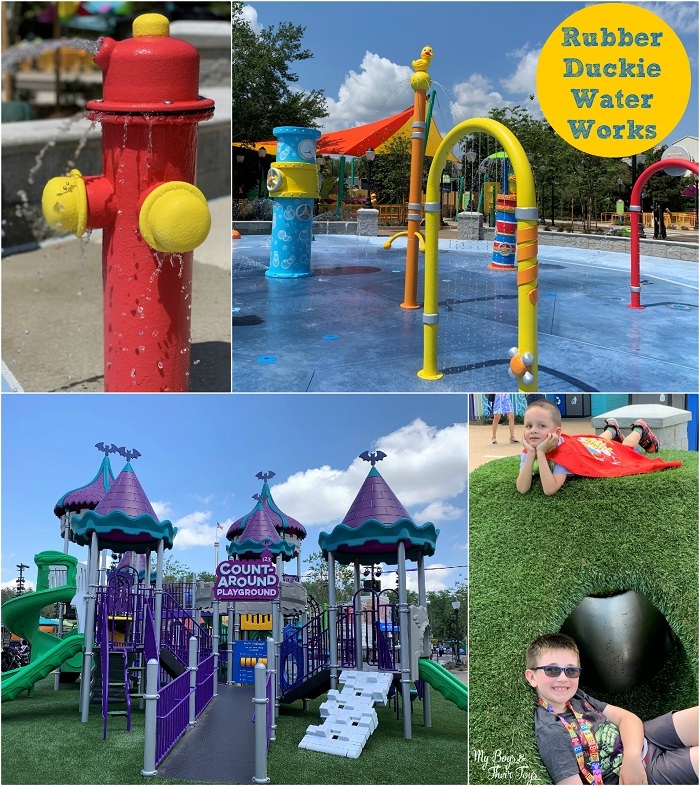 Choose between two fun play zones at Sesame Street with Rubber Duckie Water Works and Count Around Playground! Sesame Street at SeaWorld Orlando includes six colorful, themed rides: Abby’s Flower Tower, Cookie Drop!, Slimey’s Slider, Big Bird’s Twirl ‘n’ Whirl, Elmo’s Choo Choo Train and Super Grover’s Box Car Derby. 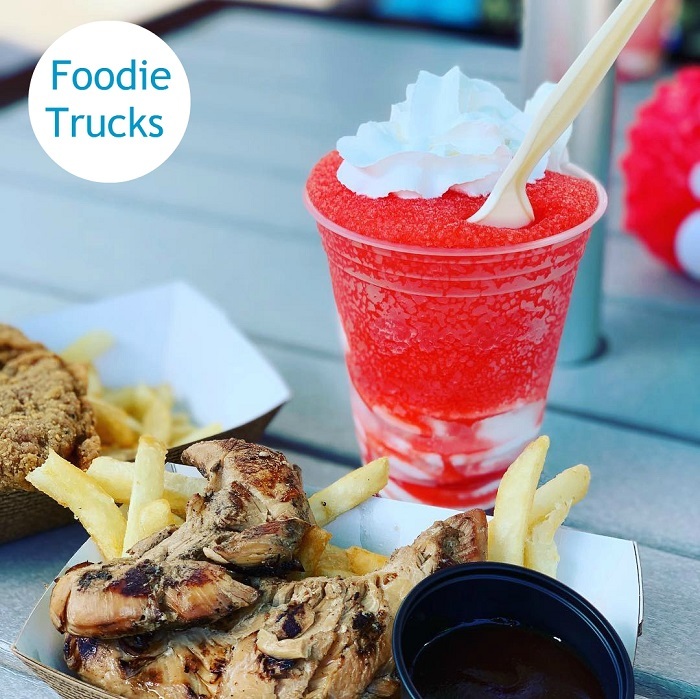 Choose between three tasty food trucks with freshly made food like Hawaiian grilled chicken, upgraded grilled cheese sandwiches stuffed with pulled pork or turkey or chicken, and delicious cool beverages like smoothies and Icees! 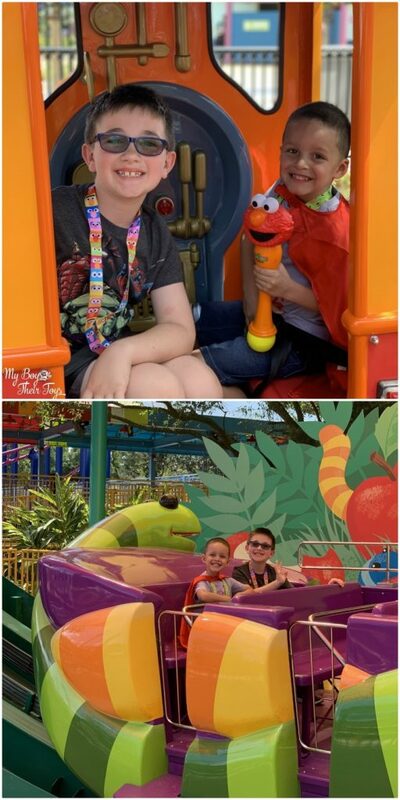 In addition to the queue line where you can snap photos with Elmo and Cookie Monster, other furry characters can be found at different times throughout the land for special photo opportunities including Bert and Ernie and Oscar the Grouch! Also, make sure to stop by Big Bird’s Nest for a special storytime experience! 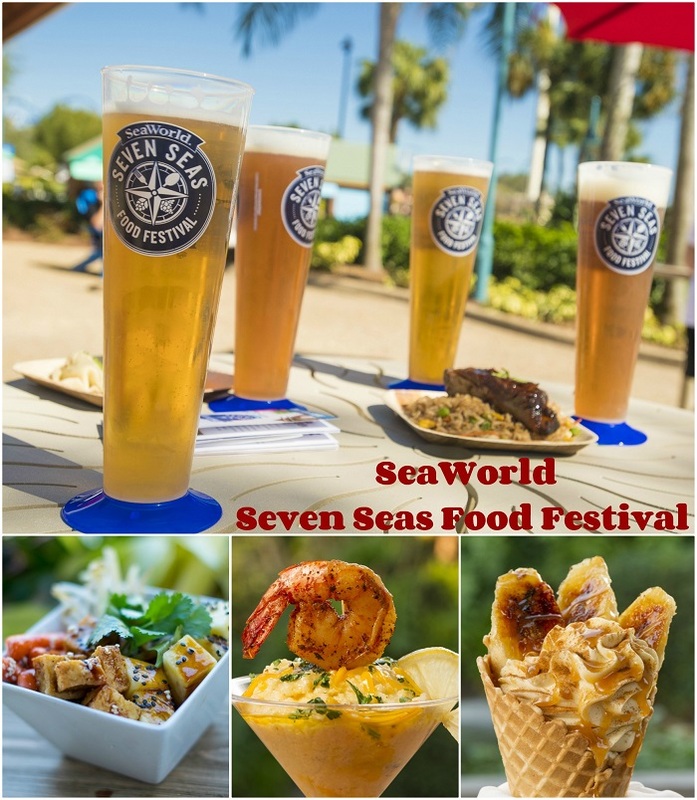 For more information, head to seaworld.com. Here’s our Video Tour of Sesame Street at SeaWorld Orlando! Looks like so much fun!!! My lil one would go nuts!! Looks cool. So much better than the old area. Makes me want to go? WOW! such a fun place to visit! Your kids are so adorable!